You should now be aware of what monitoring and evaluation is, and how it does not just refer to something you do at the end of a project, but rather something that ideally needs to be considered as part of a project’s life-cycle. Where are you on the project management cycle? 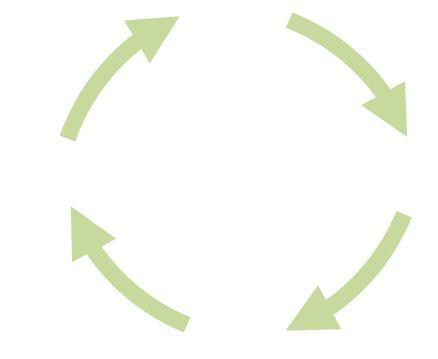 Ideally, you should approach monitoring and evaluation at the outset of your project cycle, as part of your research and identification of a problem and need for an intervention. As part of your project design, you should clarify the logic, and this is also the ideal time to develop a monitoring and evaluation plan. During the project implementation, you should be collecting the data that you have identified through your monitoring and evaluation plan. As your project is completed, you can undertake a summative evaluation that examines the projects intended and unintended outcomes. Remember to think about how best to present your evaluation, as evaluation reports should be used as formative evaluation for future projects. If you are already implementing a project, it is still recommended that you develop a monitoring and evaluation plan to clearly focus what you need monitor and evaluate, AND make a note to consider evaluation much sooner next time around.